iPhones can be considered as immense power consuming devices because of the numerous music applications, professional communication applications, and camera-based and GPS-based social media applications we use them. The iPhone which is why its battery starts draining faster than usual after a year or two of usage. However, iPhone Battery replacement is present to solve all the iPhone related problems for any user. The specifications of the iPhone X battery include a 3.7 V, 5.3 Wh (1420 mAh) battery, which is used to power the device. Usually, the battery must last for one entire day if it is not used extensively. If this is not the case, you should get your phone checked at the cheap iPhone Battery replacement service centre. 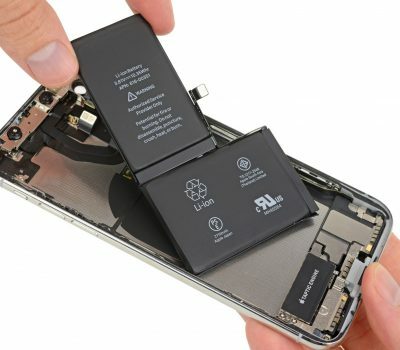 Any iPhone user should be aware if their iPhone X battery should be changed. The battery must be changed and brought to the iPhone Battery repair store if the battery is running out very quickly, the iPhone is turning off right before the battery goes to 1%, if the phone is taking long amount of time to get fully charged, and if the temperature of the iPhone is increasing during the charging process. Sometimes, the battery begins to break, and then it suddenly stops working. However, at iPhone Battery replacement, only high-quality parts will be used for the battery repair. We will then test it thoroughly to ensure smooth functioning of the iPhone before it is returned to you. Mail your phone to us directly if you have any trouble travelling to our centre. We will fix your device as quickly as possible and hand it back to you!